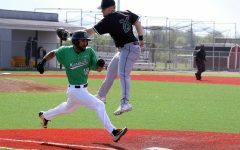 Thundering Herd baseball tallied its first series sweep of the season this weekend in Murfreesboro, Tennessee, winning all three games against the Middle Tennessee State Blue Raiders (17-15, 5-7 C-USA). 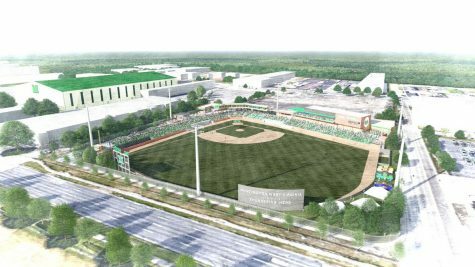 With the sweep, the Herd is now back to a winning overall record (14-13, 4-8 C-USA) and no longer sits last in the conference standings. 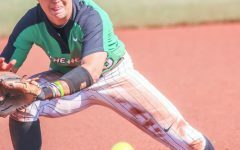 The Herd dominated Saturday’s doubleheader, as it blew out the Blue Raiders in the first game, 11-0, and never trailed in the second game to come away with a 6-4 victory. 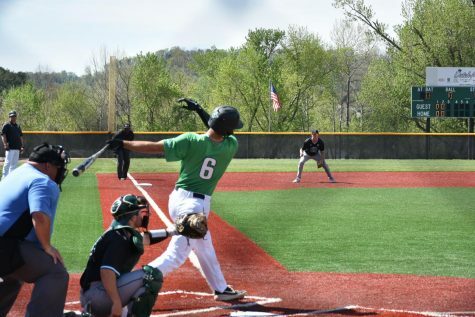 Marshall’s bats and starting pitchers were strong, aiding the team in the wins. 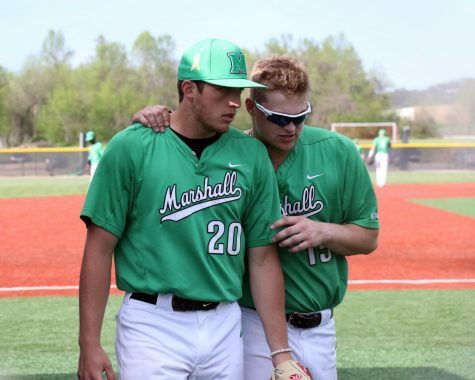 In game one, Marshall pitchers—senior right-hander Brad O’Connor and freshman right-hander Phillip Hoffman—combined to throw a five-hit shutout, the third of the season for the Herd. O’Connor pitched eight innings, allowing five hits with seven strikeouts and two walks. 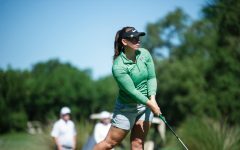 O’Conner earned his third win of the season. Hoffman came in to close and pitched a perfect ninth. He used just 10 pitches to retire the side and end the game. 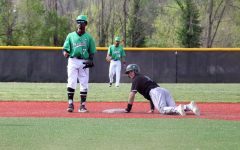 On offense, senior second baseman Kody Matthews and senior first baseman Will Ray each scored three runs. Junior catcher Reynaldo Pastrana had a hit, a walk, a run and three RBI. Redshirt junior left fielder Shane Hanon had two hits, including an RBI double, a walk and scored two runs. Junior right fielder Andrew Zban and sophomore designated hitter Peter Hutzal had two RBI each, as well. In game two, junior pitcher Josh Shapiro got the start on the mound and recorded his second win of the season. The southpaw recorded 6 1/3 innings of work, allowing three runs (one earned) with four walks and four strikeouts. Redshirt senior right-hander Matt Reed came into the game in relief and threw two scoreless innings for his first save of the season. 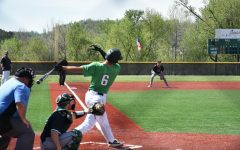 Marshall junior centerfielder Erik Rodriguez hit a sacrifice squeeze bunt to score Zban and Pastrana in the fourth inning to go up 2-0. Matthews added to the lead in the sixth with an RBI single to right field. 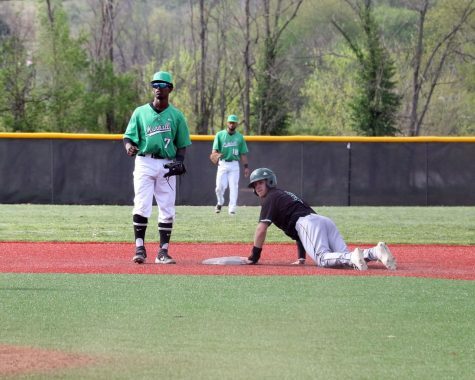 Then, in the seventh Marshall extended its lead to 5-0. It began when Ray hit an RBI single to left field that scored Hutzal, followed by a Zban RBI double to score Hanon. 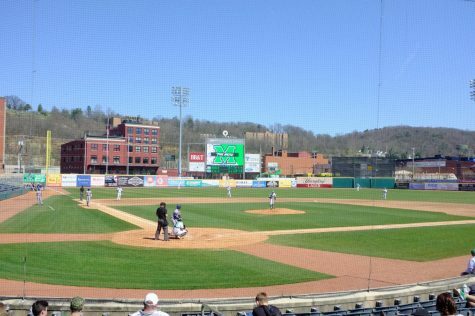 Middle Tennessee battled back in the bottom of the seventh, though, with three runs of its own. The first Blue Raider run came when Junior shortstop LA Woodard doubled in a run. Then, a Pastrana fielding error allowed a second Blue Raider run to score and redshirt senior first baseman Aaron Aucker hit a sacrifice fly to center, to make the score 5-3. MTSU tallied another run in the eighth to make it 5-4. 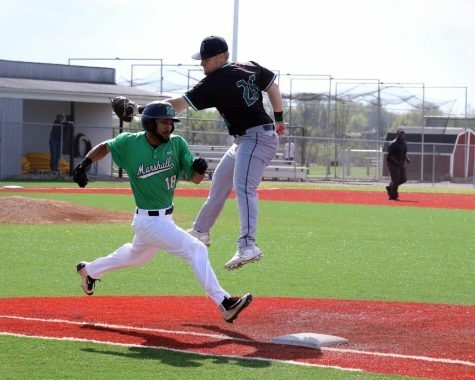 Marshall’s offense struck again with a ninth inning insurance run, as Pastrana hit an RBI single in the ninth to extend Marshall’s lead to 6-4, which would eventually be the final score. In Sunday’s series finale, sophomore pitcher Zac McNeel earned his first win of the season, pitching a career-high 6 1/3 innings, allowing six hits and three runs, while walking three and striking out two. Four relievers combined to pitch the final 2 2/3 innings, allowing just one run and striking out three over that frame. Kody Matthews came off the bench to hit two home runs, a pinch-hit two-run shot down the left field line in the sixth and a solo shot to left in the eighth. Pastrana led the Herd with three hits, while Zban and Hannon added two hits each. The Herd took the game by a final of 9-4. 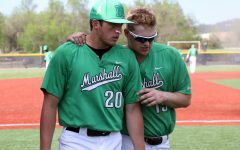 Marshall plays Virginia Tech (13-17, 6-9 ACC) in a midweek home-and-home series. 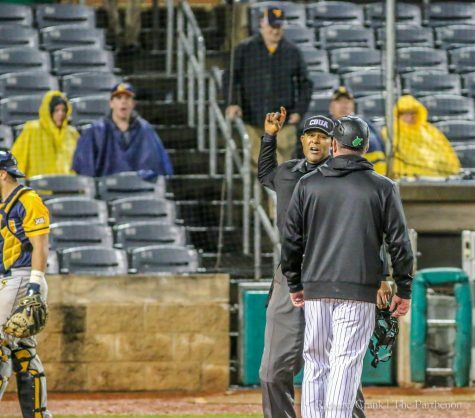 The Herd and Hokies will play Tuesday in Blacksburg, Virginia before returning to Appalachian Power Park Wednesday to close the series.